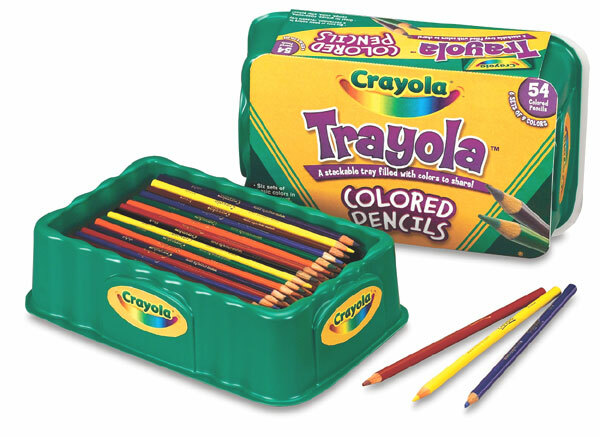 Crayola pre-sharpened colored pencils have thick, 3.3 mm lead for a smooth, rich color lay-down. The 54-count plastic tray pack is stackable and reusable, making it ideal for the classroom. It includes six of each color: Red, Orange, Yellow, Green, Blue, Violet, Black, Brown, and White.